Christina works for The Nature Conservancy’s California Chapter on the California islands where she coordinates endangered species recovery and invasive species removal efforts. She is focusing on the choices that are made when the interests of two island endemic species complete, and the decision making process that conservationists use to resolve those conflicts. She leads the California Islands Biosecurity Initiative which coordinates the biosecurity needs of the California Islands land managers and their partners and works proactively to develop federal permitting for the rapid response to island invasive introductions. Christina also coordinates an invasive ant removal program in the California islands and works beyond California with partners in the Pacific Islands to share tools and approaches for eliminating invasive ants and institute improved biosecurity measures to protect Pacific islands from new pest invasions. 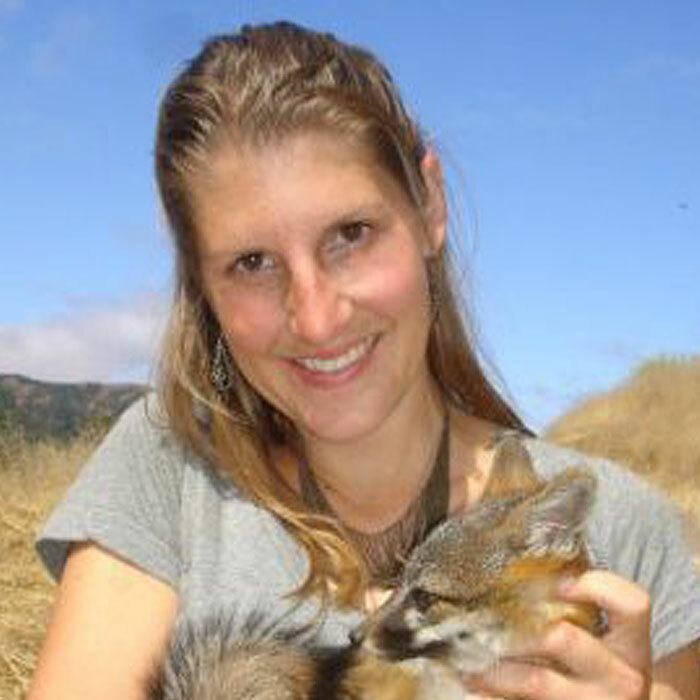 Before joining the Conservancy, Christina investigated animal behavior and predator-prey dynamics, with a focus on canid species. She has worked in Alaska, Colorado, Wisconsin, Nevada, Chicago, New York, and Southern California. She holds an M.S. in Ecology from State University of New York. I’m working on developing and testing an Argentine ant detection protocol which uses working conservation dogs to find and mark invasive Argentine ant nests that may have survived initial eradication treatments on Santa Cruz Island. I’ll use the data from that protocol, as well as data from lure and visual searching by field technicians, to model the spatial probability of Argentine ant persistence on Santa Cruz Island after Argentine ant eradication treatments. Invasive Ant Removal: How can we eliminate a large-scale infestation of invasive ants – and how would we know when we have?